Nearly 75 million adults in the United States have hypertension; the disease is often known as the “silent killer” because it usually causes no symptoms. 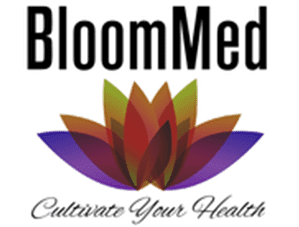 At BloomMed LLC in McKinney, Texas, Dr. Stephanie Cudjoe offers comprehensive hypertension screenings and treatments to prevent more serious medical complications from interfering with your life. She offers routine blood pressure screenings as well as lifestyle counseling in the comfort of your own home to ensure your blood pressure is always well-controlled. Schedule a consultation online or by phone to learn more about treating and preventing hypertension. Hypertension affects both children and adults at any age. Also known as high blood pressure, hypertension is a condition where the force of your blood against the walls of your arteries is high enough to lead to long-term health complications. Your blood pressure levels depend on the amount of blood your heart pumps and the amount of resistance your arteries give against blood flow. High blood pressure levels can lead to serious medical complications, including heart disease and damage to your blood vessels. Uncontrolled blood pressure can also result in a life-threatening heart attack or stroke. In many cases, you can have hypertension for years and not know it. The condition doesn’t always cause noticeable symptoms, but Dr. Cudjoe can easily detect it through routine blood pressure checks. When hypertension reaches critical stages, you may experience symptoms like frequent headaches and shortness of breath. That's why it’s important to have regular blood pressure screenings so that Dr. Cudjoe can identify pressure abnormalities as early as possible. Taking certain medications -- including over-the-counter treatments, prescription medicine, illegal drugs, and birth control pills -- can also increase your risk of developing secondary hypertension. Dr. Cudjoe reviews your medical and family history to determine if you are at an increased risk for developing hypertension. She also performs blood pressure testing during each office visit. If you have hypertension or are at risk for developing the condition due to your background or lifestyle choices, Dr. Cudjoe offers both lifestyle counseling and medical treatments to lower your blood pressure. 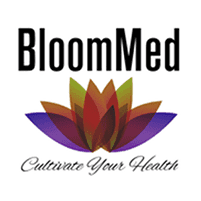 Lifestyle counseling address your diet and stress levels. Dr. Cudjoe encourages a low-salt, heart-healthy diet along with regular exercise to help you maintain a healthy weight. If you are overweight, she can find the right program to effectively and safely help you lose weight. If your blood pressure remains high, even with lifestyle changes, Dr. Cudjoe may recommend prescription medications that help relax your blood vessels and keep blood pressure in a normal range. To learn more about treating or preventing hypertension, call Dr. Cudjoe’s office or book a consultation online.